Protected: The Bullfrog Liberation Army. Unearthing a More Colorful Brain. 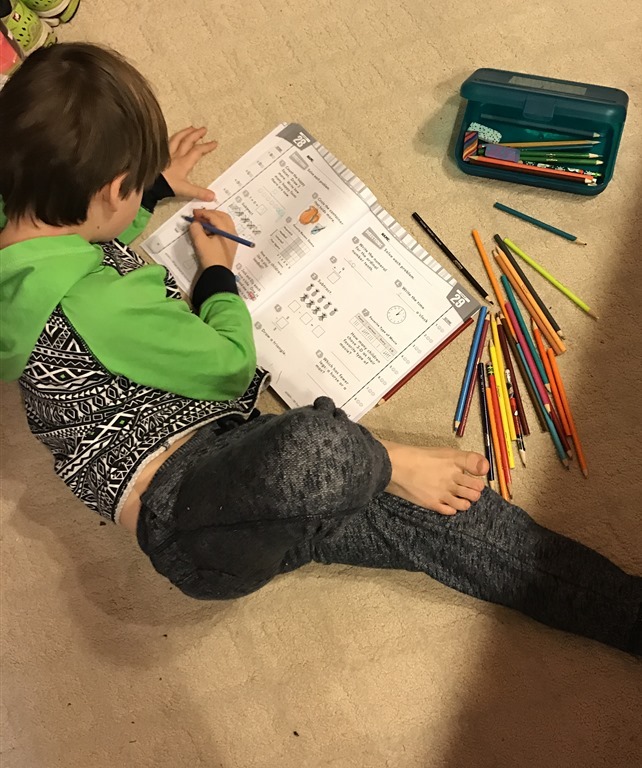 This matter-of-fact question Noah asked Monday morning while doing his math (in my dirty dressing room floor as I hung up clothes) turned his school day on end. What followed was a fascinating day of me interrogating him while becoming more and more intrigued with his brain as he very factually and without hesitation answered all of my inquiries. 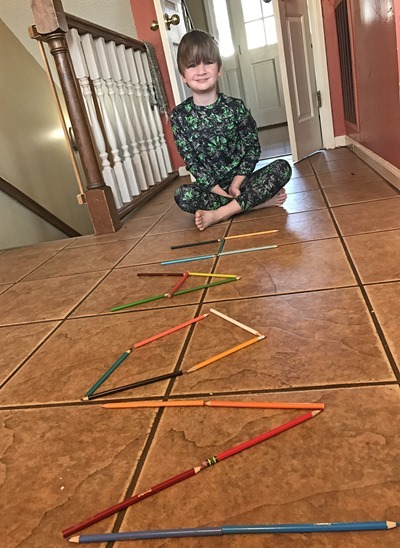 Now it made so much sense why, after deciding to use colored pencils for math a couple weeks ago, he had started to want to do more math each day. I had just discovered that my six-year-old had grapheme-color synesthesia. AND I WAS TOTALLY GEEKING OUT. 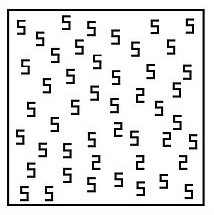 Grapheme-color synesthesia: When an individual’s perception of numerals and letters is associated with the experience of colors. Like all forms of synesthesia, Grapheme-color synesthesia is involuntary, consistent, and memorable. I’d heard about synesthesia in all its forms in my psych classes in college (a fascination that I pursued in my electives), and had more recently listened to a podcast about a woman with Mirror-Touch Synesthesia – a very real and terrifying condition that caused her to physically feel everything that she saw anyone else physically experience. Hug, punch, shivers, itches – whatever. Synesthesia is a phenomenon where two or more senses are triggered by each other in an involuntary way. Color Synesthesia is the most common, and approximately 1% of the population experiences it. A theory is that it is associated from first memories of learning the letters – kids latch onto the colors of their refrigerator magnets, or the letters in their alphabet book. But this was disproven when they discovered synesthetes who couldn’t possibly have had those early life associations. 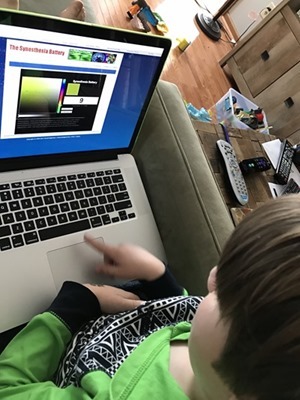 I can’t help but wonder if there is still some connection there, and if more kids have synesthesia now that they learn their letters with blazingly colorful learning apps. 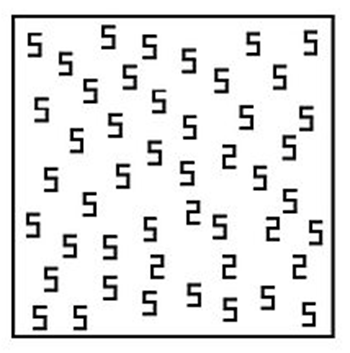 I found an online test for synesthetes and started Noah on it. It asks you to pick a color from the whole spectrum for each letter and number, randomized and multiple times, to see if you’re consistent with your answers. It was a bit long for a six-year-old’s attention span, however, so we haven’t finished it yet. But it was delightful to listen to his dialogue as he tried to pinpoint the colors. All day long I randomly asked him the color of numbers and letters and he’d shoot back, with complete accuracy, what he’d told me before. I kept a running note in my phone because there was no way I could possibly remember his answers from one ask to the next. While he was taking the test, Ali walked in and asked what he was doing. I explained to her that Noah saw letters and numbers in color. “WRONG!” Noah didn’t even look up from his test to inform his sister that she was categorically incorrect about the properties of numbers. Ali wasn’t so convinced that letters had a color, but she did think days of the week had color. I had never had a more surreal conversation with my children, and I was loving every minute of it. I had turned into psychologist mom and there was no going back. I found this picture online and showed it to him. Without taking even a second to count, he said “there are six twos,” then pointed them all out. Because apparently, his brain comprehends them much bolder than my brain does. The next morning, I had the kids separately make their color charts. I checked it against my note, and she Ali stayed consistent with her choices, other than flip-flopping on 5 and 8 being light blue / dark blue. And this is Noah’s. The really bold characters are due to the fact that they are supposed to be purple, and he wasn’t happy that they looked a little pink on first pass. 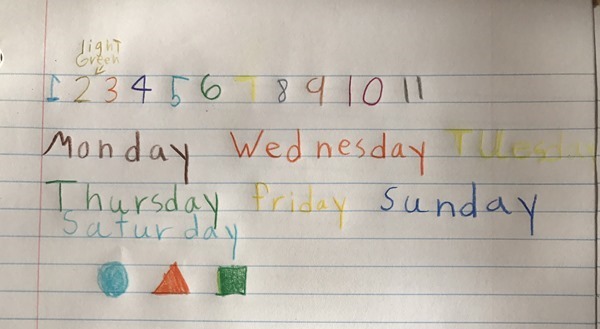 The only deviation he made from the day before was that he decided that 7 was actually green, not purple. 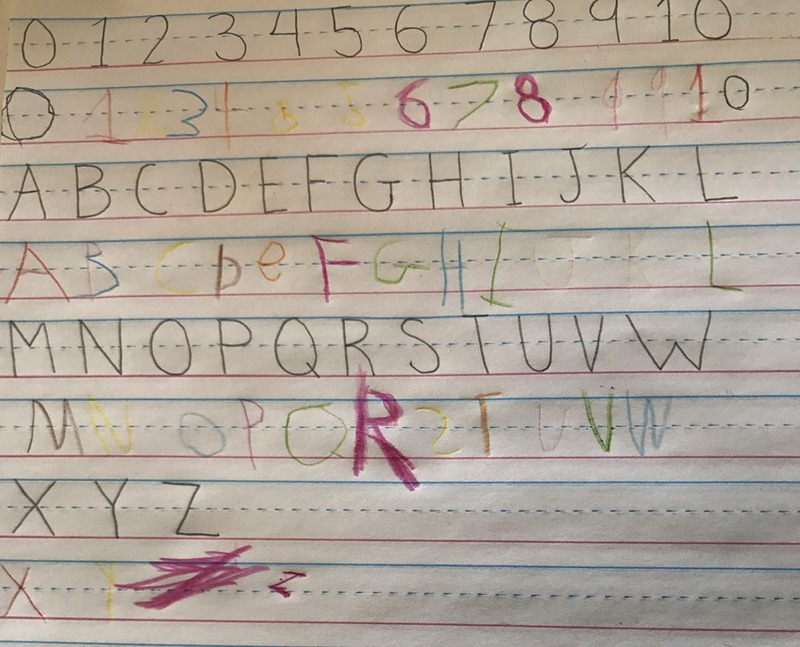 Additionally, he informed me that uppercase e’s are yellow, but lowercase are orange – and he preferred lowercase. I asked if all uppercase and lowercase letters were different, but he said only e and f – uppercase f is blue and purple (he got mad at himself for forgetting to add blue to it, although he did draw the dual-colored B), but lowercase is beige. 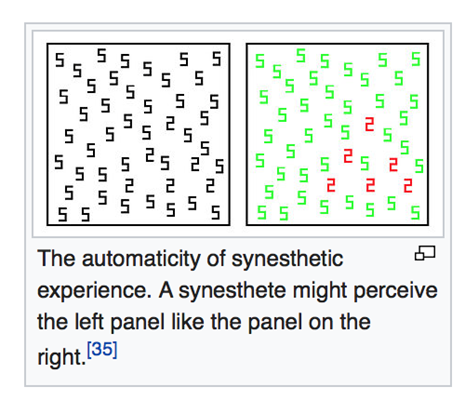 One interesting fact that I found while researching: although each synesthete has their own color-mapping, the majority make A red and O white or black. Noah has consistently told me that A is red and O is blue or black. I have no idea what this brain phenomenon really effects, other than my children’s minds being delightfully more colorful than my own, but I’m excited to figure out how to integrate it into their education. Note: an update can be found here. 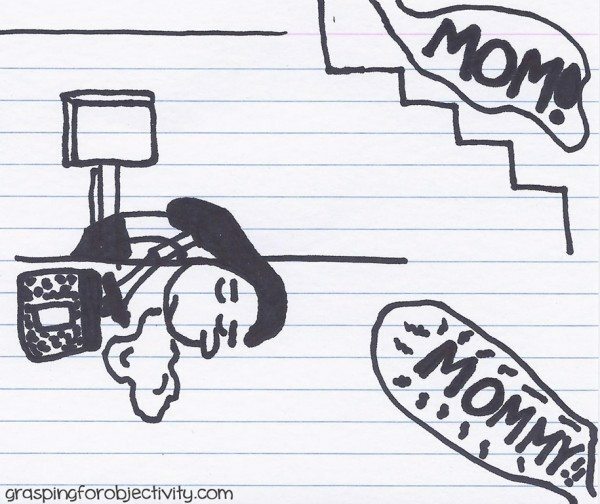 Diary of A Tired Mom: Uncomfortable Truths. This post felt like I’d taken two familiar genres and thrown them into a smoothie together: my Diary of a Tired Mom posts, and my friend Katherine’s madly fantastic Uncomfortable Truths, which has 66 volumes (and counting.) Be sure to read hers, because they’re delightfully more uncomfortable than mine. Although my elbow and shoulder (and finger) are slowly recovering, they’re still annoying. I mean, it is my left hand. And I am left-handed. But way more annoying than having three separate injuries on my dominant arm is the fact that it is also my drive-thru arm. It’s hard enough to be a professional Chick-Fil-A Speed Receiver – but try doing it with only one arm. My game has been decimated. There’s labour and flavour and colour and foetus. But the most disturbing of all extra letters the British chose to keep is in a word already fraught with unnecessary characters. Without a doubt, it goes to diarrhoea. Somehow this unfortunate British spelling got stuck in my head and that extra o – a round circle surrounded by two cheeks of burgeoning letters – haunts me. And every time I mentally say diarrhea, (which is more often than I’d like thanks to having two children and a husband and being human and all,) I also add the o in there, mentally saying dia-ROY-a, as I imagine a countryside British farmhand would say. But BLUE. Not everyone gets the opportunity to pee blue. When I actually experienced this fascinating phenomenon, I realized something: I could choose to not flush and other people would think I’d just finished thoroughly cleaning my toilet bowl. Because nothing feels fresher than sitting down at a toilet full of bright blue water, right? It was like a magic pill! That made it look like I’d done a chore! Where can I get pills to make it look like I did the dishes more than twice a week? Or perhaps a pill that hid the crumbs my kids so expertly and efficiently spread across my floors? Someone needs to be researching these possibilities right away. I’ve been wondering if I’ve contracted ADD. If I have, I suspect that one day they’ll discover there’s a risk of ADD contraction from being on Twitter. So many subjects. So many conversations. So many news articles. All jumbled together. Making your brain change lanes every 140 characters. I was such a focused person in my school days, and even in my career days (which thankfully ended before the mainstream adoption of social media.) I could sit in class and take notes for HOURS and adore it. There was nothing I liked better than a perfect, neat, organized, outlined page of handwritten notes. It was a type of beauty I could appreciate. But now, my brain is different. And definitely can’t sit still and listen. However, I’ve found coping mechanisms. The downside to my coping mechanisms is that it makes me look like an unruly seven-year-old. But I swear it works. 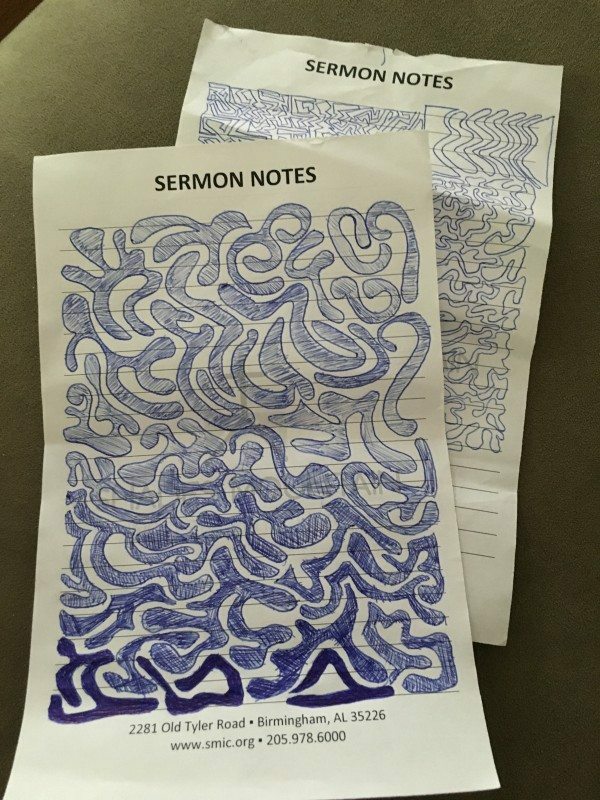 If I sit in church and take “notes” like this, I hear every single word of the sermon – and am able to process and even meditate on it. But the second I quit my line art because I started feeling bashful about all of the eyes around me that could get a brief look at my notes and and say “mm, mm, mm,” while shaking their heads on the inside, I don’t hear another word. My mind wanders to the randomest of places. Like writing this blog post. So, dear people around me in church, and Pastor if you have really good eyes, please know – if I’m coloring, I’m listening. And maybe those coloring kids are, too. It was Father’s Day. I was in an extremely busy restaurant, trying to snag our family table before the staff was overrun with families celebrating their Dads. I was too late – I waited at the hostess station for ten minutes, and our food wait was over an hour and thirty minutes. But I say all this to go ahead and excuse myself for what I didn’t do. Noah needed to pee. Right away. I sent him and Ali in the Ladies’ room together, instructing her to not leave without him. Way too long went by, all while I was still standing at the hostess station. Finally, I saw Ali open the door. And hold it open. And hold it open. He must be taking FOREVER to wash his hands, I thought. Then she closed the door. I was worried. What would I do if the hostess was ready for me to follow her deep into the bowels of the restaurant and my children hadn’t made it back yet? Ugh. WHAT is taking him so long?! A minute later, as the hostess was gathering our fifteen menus to seat us, Ali reappeared, and Noah followed her out. They walked up to me as I began following the hostess. But then I had to wait an hour and a half for my food. And by the time I was able to wrangle my kids out of your restaurant, I had totally forgotten about your jammed door. Even though Noah returned once during the meal, crawling back under the stall door, to look for his lost bible. Because what good is there in Gideoning up a bathroom stall that can’t even be accessed?